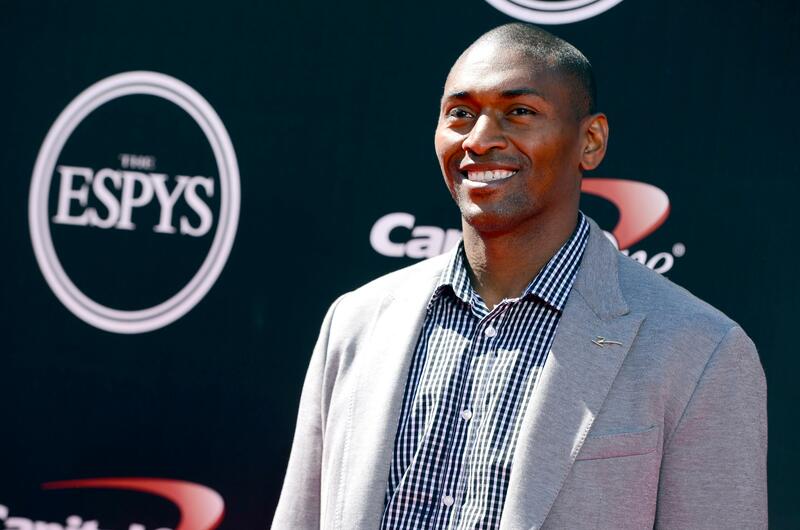 Mon., Oct. 23, 2017, 5:30 p.m.
EL SEGUNDO, Calif. – Metta World Peace has joined the Los Angeles Lakers’ NBA G League affiliate as a player development coach. The veteran NBA forward was added to the South Bay Lakers’ staff Monday. World Peace played 16 NBA seasons for six franchises, including six years with the Lakers from 2009-10 and 2015-17. He was a standout defensive player who won a championship alongside Kobe Bryant and Pau Gasol in 2010. While he hasn’t publicly retired, the forward formerly known as Ron Artest will assist South Bay Lakers head coach Coby Karl and his staff. World Peace earned the longest suspension in NBA history for his role in the Indiana Pacers’ infamous brawl in the stands at Detroit in November 2004, but he matured into a valued veteran leader for the Lakers. Published: Oct. 23, 2017, 5:30 p.m.